Democratic Republic of Congo (DRC) President Joseph Kabila was not able to attend the high level African Union Consultative meeting on the situation in his country, and President Paul Kagame said Kabila gave him reasons why he could not attend. 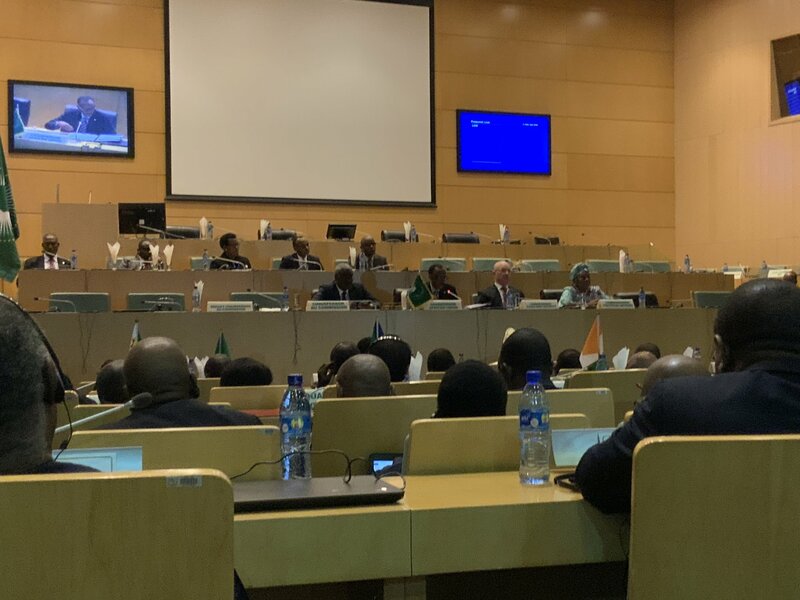 On Thursday, President Kagame and current Chairperson of the African Union chaired the High Level Consultation Meeting of Heads of State in Addis Ababa, Ethiopia to discuss the Situation in DRC. In his address to the Heads of State Present, Kagame said; “While arranging this meeting, I also contacted the President of DRC, President Joseph Kabila; in fact I extended the invitation to him as well. He told me he had wished to participate but because of that exact situation he may not be able to travel,” Kagame told delegates. President Kagame, however, added that during discussions with his DRC counterpart, he promised to send a delegation and give a clear picture on the situation back home. “He promised me to send a delegation to participate in this discussion and maybe also give us a picture of what the situation is and what maybe they would be expecting us to do in support of what they are trying to achieve,” Kagame said. Today’s meeting came after 16-members of Southern African Development Community (SADC), called for an emergency meeting to discuss the Democratic Republic of the Congo (DRC)’s presidential election results that declared opposition candidate Felix Tshisekedi the winner with 38 percent of the vote against another opposition candidate Martin Fayulu who got 34 percent of the vote. He thanked leaders present for selfless efforts made to attend the meeting to look for joint solutions concerning DRC. “It occurred to us during that consultation that if we met as we are here, we could probably find some common way of understanding what this problem is. That would give us the possibility of being useful and supportive of the resolution to the challenges facing that country, DRC,” Kagame said.